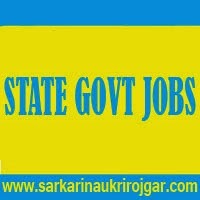 SarkariNaukriRojgar.com is the best website to search State Government Jobs. In this Section, we update Latest News about State Govt Jobs. Every unemployed youth needs a well reputed Government Jobs in India. The most popular term used for Government Jobs is Sarkari Naukri. So you can say that everybody wants to be Join in Sarkari Naukri. All 10th 12th pass and Graduate & Engineering candidates can find here latest job of your state. You can search here latest jobs like banking, Railway, Defence, Police, UPSC, SSC, PSC and Teaching. There are lots of Govt jobs in each state & union territories of India for unemployed youth. You can find here the latest state wise Govt Jobs. In India, there are 29 states and 7 Union territories. We update daily Latest Job Notification for each of the states in India. So we advised to the job seekers that bookmark or subscribe email alert of this page or particular state in which you are looking for Govt jobs. Find all the information on this section about all the latest & Upcoming State Government Jobs. Get full details of State Government Jobs such as eligibility criteria, vacancy details, qualifications, application process, recruitment procedure and many more. check out the recent employment opportunities in State wise. We have the latest jobs updates of All State Govt Jobs. Start your job search for State Government Jobs. Bookmark & Share this page to your friends who are looking for State Government Jobs.